Virginia's unemployment rate fell slightly in April and remains below the national average. trending down since hitting 7.3 percent in March 2010. The national average for April was 9 percent. April's unemployment rate usually improves over March as businesses prepare for the tourist season and there is increased activity because of more mild weather. Nonfarm payroll employment added 27,300 jobs in April, the third consecutive monthly increase. 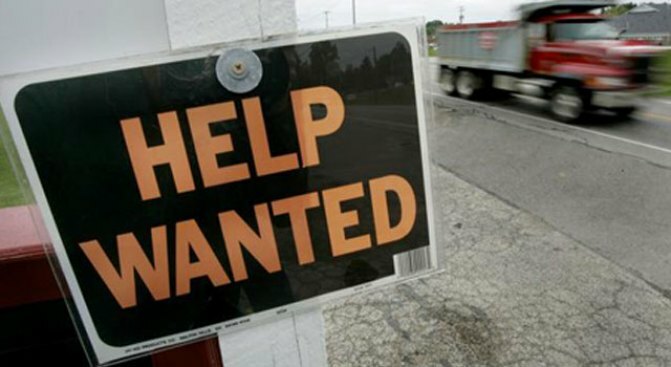 The agency said 55,412 Virginians were receiving regular unemployment benefits in April. That's down from 62,821 in March and down from 72,373 in April 2010. Nationally, unemployment rate fell April in more than three-quarters of the nation's states, evidence that companies are feeling more confident in the U.S. economy. The Labor Department said the unemployment rate dropped in 39 states in April. That's an improvement from March when 34 states had reported decreases. The rate rose in three states and the District of Columbia. It was unchanged in eight states. Businesses nationwide have added more than 250,000 jobs per month, on average, in the past three months. It's the fastest hiring spree in five years.